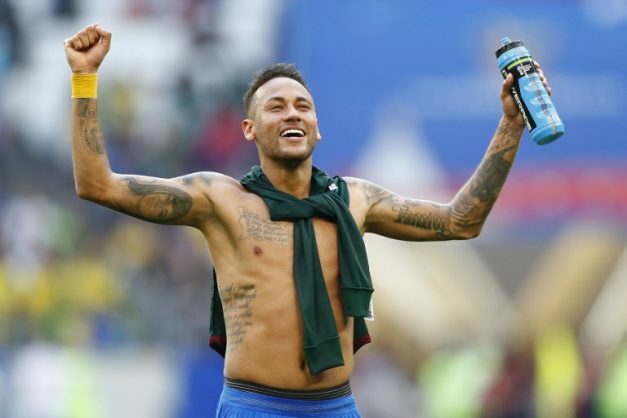 Bidding for a record-extending sixth title in Russia, Brazil weathered an early storm at Samara Arena before Neymar turned on the style to underline their status as favourites. Brazil will now meet the winners of Monday’s later match between Belgium and Japan, but after seeing Argentina, Spain and Portugal eliminated in the last 16, Tite’s men will fancy their chances. Mexico made a bright start in their attempt to beat Brazil in a World Cup match for the first time. But after dominating the first 20 minutes of an entertaining opening period, Brazil came back into the match, bossing the final stages of the half. Brazil awoke from their early slumber late in the opening half, but Neymar’s angled drive was blocked by Guillermo Ochoa and striker Gabriel Jesus saw the ‘keeper block his drive after a smart one-two. After the interval Mexico lost drive and focus and Neymar broke the deadlock on 51 minutes. The Paris Saint-Germain star drew several defenders as he ran across the edge of the area with the ball at his feet. He laid it off for Willian and darted into the box, stretching to convert the Chelsea midfielder’s superb delivery. Osorio replaced the ineffective Hernandez with Raul Jimenez on the hour and Alisson dived to tip over Carlos Vela’s curling drive. But Brazil had moved up a gear. Neymar was starting to showcase his talents but he was left writhing in pain after a tussle with second-half replacement Miguel Layun. Replays appeared to show Layun caught Neymar on his ankle but he escaped sanction. With 10 minutes remaining, Tite replaced Barcelona midfielder Paulinho with Manchester City midfielder Fernandinho.